With so many adults returning to the classroom, the term "adult education" has taken on new meanings. Adult education, in the broadest sense, is any form of learning adults engage in beyond traditional schooling that ends in their 20s. In the narrowest sense, adult education is about literacy—adults learning to read the most basic materials. Thus, adult education encompasses everything from basic literacy to personal fulfillment as a lifelong learner and the attainment of advanced degrees. One of the primary goals of adult education is functional literacy. Organizations like the U.S. Department of Education and the United Nations Educational, Scientific and Cultural Organization (UNESCO) work tirelessly to measure, understand, and address adult illiteracy in the U.S. and around the world. "Only through adult education can we address the real problems of society—like power sharing, wealth creation, gender and health issues." said Adama Ouane, director of the UNESCO Institute for Lifelong Learning. The programs of the Division of Adult Education and Literacy (part of the U.S. Department of Education) focus on addressing basic skills such as reading, writing, math, English language competency, and problem-solving. The goal is for "American adults get the basic skills they need to be productive workers, family members, and citizens." In the U.S., each state is responsible for addressing the basic education of their citizens. Official state websites direct people to classes, programs, and organizations designed to teach adults how to read prose, documents like maps and catalogs, and how to make simple computations. Adults who complete basic adult education have the opportunity to earn the equivalent of a high school diploma by taking the General Educational Development, or GED, test. 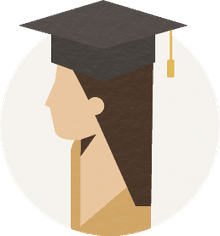 The test, available to citizens who have not graduated from high school, gives them the chance to demonstrate the level of achievement normally achieved by completing a course of study in high school. GED prep resources abound online and in classrooms around the country, designed to help students prepare for the five-part exam. The GED comprehensive exams cover writing, science, social studies, math, arts and interpreting literature.